My birthday a couple weeks ago brought untold good tidings and comforts – actually, pretty much everyone in the family gave me the same thing: Amazon gift credit or cards. No complaints here. 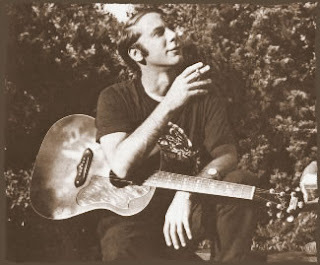 That was my excuse to go and use some of it for something I’ve been waiting years to hear – the complete early 60s recordings that folk guitar wizard JOHN FAHEY made for Joe Bussard’s FONOTONE label. Actually, I’ve heard a bootleg of them, but my burned CD-R copies have jumbled track orders, missing titles and whatnot – and man, that new box set “YOUR PAST COMES BACK TO HAUNT YOU” looked to be a fetish object of the highest order, what with 5 CDs and a book, even at $84 all-in. So I bought it. “THE GREAT SANTA BARBARA OIL SLICK” - When Fahey stepped onto the stage at San Francisco's Matrix club in 1968, I think it's fair to say that that could have been the very moment when he was at the absolute peak of his game. His very best LPs - the Blind Joe Death volumes, "The Great San Bernardino Birthday Party", "The Yellow Princess" etc. -- were just immediately behind him, and though he still had a couple of classics to come ("America" and "Of Rivers and Religion"), he was at this point fully locked into the five-handed guitar instrumental virtuoso he'd make an unfortunate habit of disparaging in his later years. 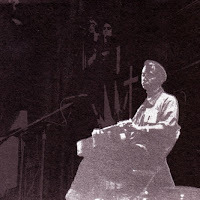 This Matrix show is less an additive eye-opener for what Fahey's live act was like -- it was a lot like his studio act, with some bonus mumbled repartee between songs -- and more a wowser of a record in its own right. 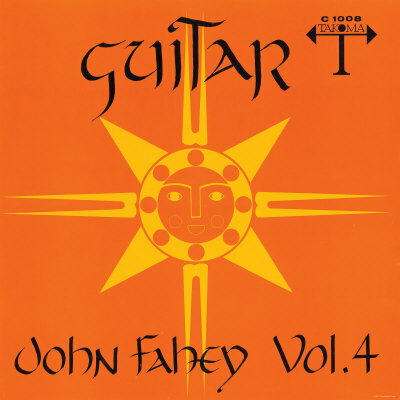 Taking some his absolute tip-top classics and splaying them out onto the stage with a lap steel and the odd slide, Fahey takes his ringing, intricately constructed acoustic songs and transports them in real time to someplace warm, lovely and complex. His reverence for the deepest of the deep country blues shines through in the odd squeaks and moans that emit from his guitar, dexterous sounds that only other giants like SKIP JAMES or CHARLEY PATTON or MISSISSIPPI JOHN HURT were able to pull up from the depths of their experience. This CD's got plenty to recommend it, and despite its overlap with so much of the 1966-68 studio material, I hope you make the wise call and add it to your collection anyway. Fahey was a legend, and a guy who was cut from a totally different cloth than just about any other guitarist alive or dead. “GUITAR,VOL. 4/THE GREAT SAN BERNARDINO BIRTHDAY PARTY” – Revisiting this one, his fourth album, after about six years of having it gather dust on my shelves helps me put it into perspective a little better. It’s the first “experimental” LP that Fahey put out, which points a light to the recordings he made in the 90s before his death. It’s also indicative of the 1966 mindset – a cut-up, at times Eastern-inspired, vaguely psychedelic set of guitar excursions, one of which is actually called “Guitar Excursions Into The Unknown”. Far out! His tunings, and the deliberately muddied fidelity of some of the recordings, makes it his first truly uncommercial work. 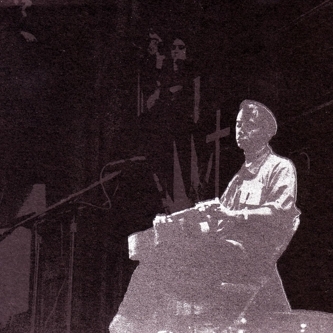 The first track is over 19 minutes, for crissakes – and it’s really about ten different pieces in one, complete with 1-second breaks between each “movement”. 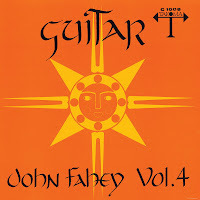 That said, it’s still rooted in beautiful, transcendent guitar strum, and while it’s certainly not the place you start with the man, you definitely need to ingest it once you’ve fully digested the main early courses of Fahey guitar genius.